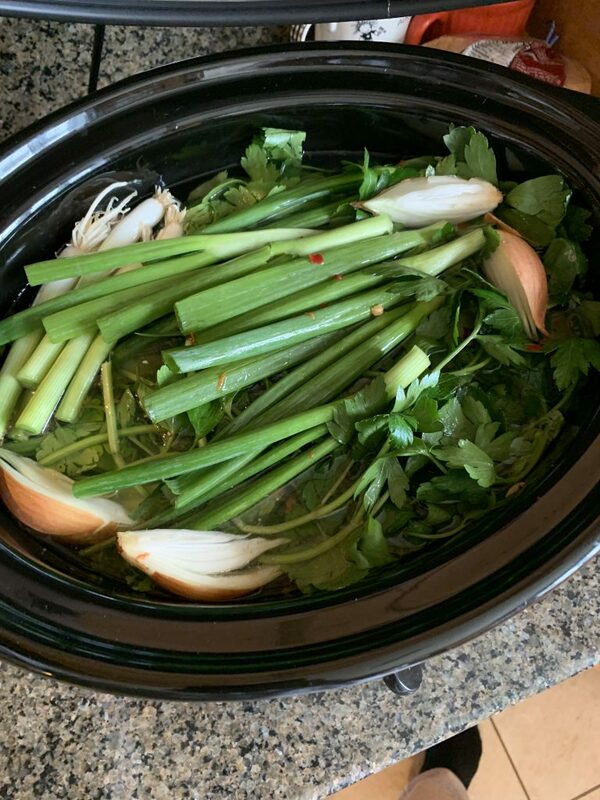 I like to enjoy my slow cooker bone broth straight up, in the late morning and late afternoon, like a savory cup of tea. 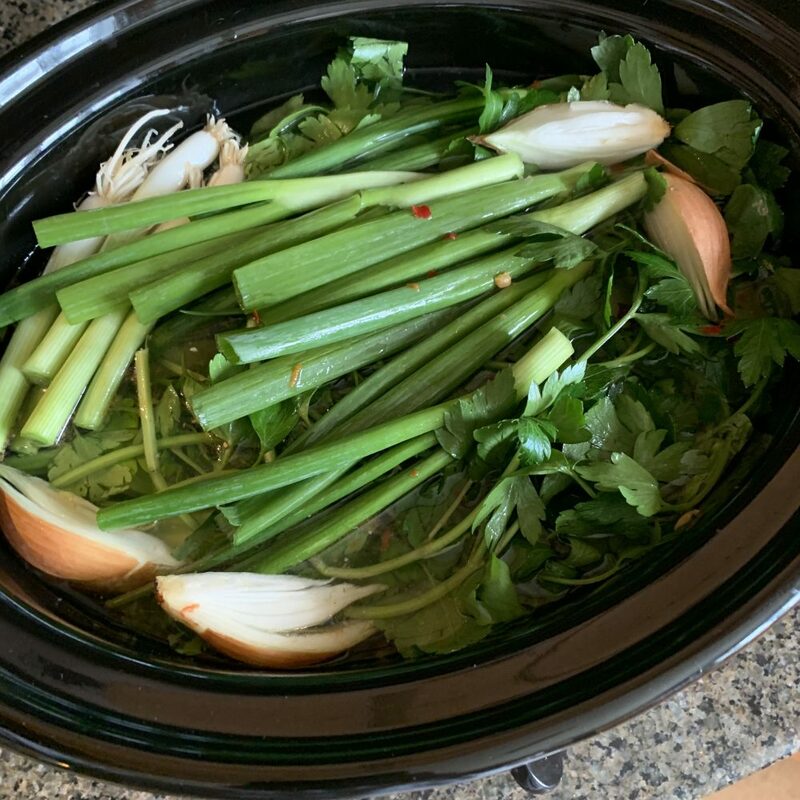 Your slow cooker will provide you with about 4 quarts of broth. It will keep in the fridge for up to five days. You can also use bone broth in recipes, swap it in for any recipe that calls for broth or stock. I also like to use it as a soup base! For longer storage, I like to freeze my bone broth in these silicone freezer bags. If I need to thaw some bone broth quickly, it’s easy to just pop a small bag in a saucepan or into a microwave to thaw them quickly. It’s much faster than thawing an entire mason jar of bone broth. Chop your vegetables and garlic, no need to peel. You can also add vegetable scraps and rinsed, crushed egg shells into your slow-cooker. You’ll be straining these out before consuming the broth. Add 2 tablespoons of apple cider vinegar (you won’t notice the taste).